For this Card. I sprayed dylusions ink in different colors on a white card. I stamped the flowers on top of it. 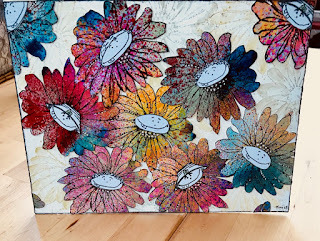 The background I used two colors of distress ink and stampt the same flower on it. I used a white card for the faces.